← When is a lot of sugar no sugar? 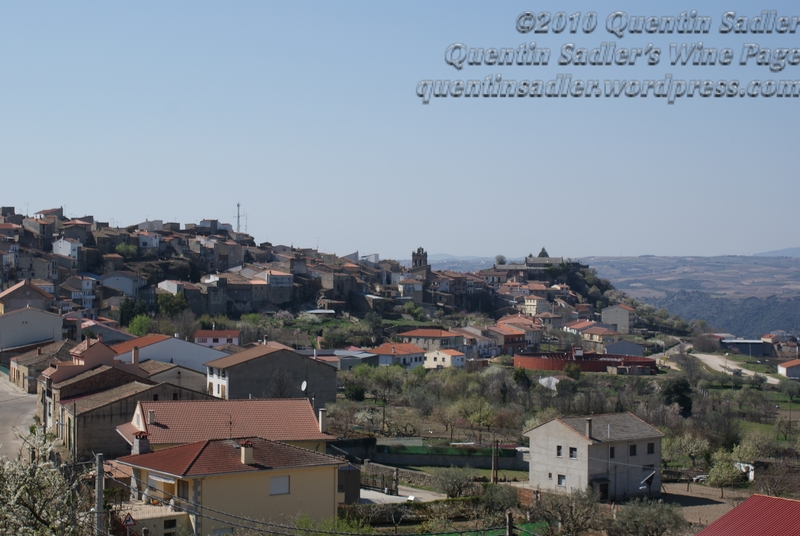 I have visited Fermoselle in Arribes del Duero and it is a small, tranquil place right on the edge of Spain – go any further west and you will find yourself splashing in the Duero/Douro river and then in Portugal. I was astonished that this area can boast two wineries that are run by English women, even more strangely it seems that they are both here entirely by coincidence. I can see the attraction as it is a very pretty place, I was there last April and the trees were covered in blossom and the air was thick with birdsong, making the place seem heavenly. Outside the villages though the scenery is more dramatic and astonishing rather than beautiful. It consists of deep gorges cut through the mountains by the rivers – the steep banks are the arribes del Duero/steps of the Duero – and terraced vineyards on inaccessible cliffs giving way to the flat, wild land of the Parque Natural Arribes del Duero – which is the last remaining habitat of the Black Stork. It is very rural and to a townie like me it was lovely to visit, but I felt terribly cut off, as though I had arrived at the end of the world. All the roads are narrow and as they follow the terrain the curves and cliffs are either spectacular or disturbing depending on your point of view. When I arrived there it was not only an entirely new region for me, it was only awarded DO status in 2007, but it also uses grape varieties that I had never heard of before. 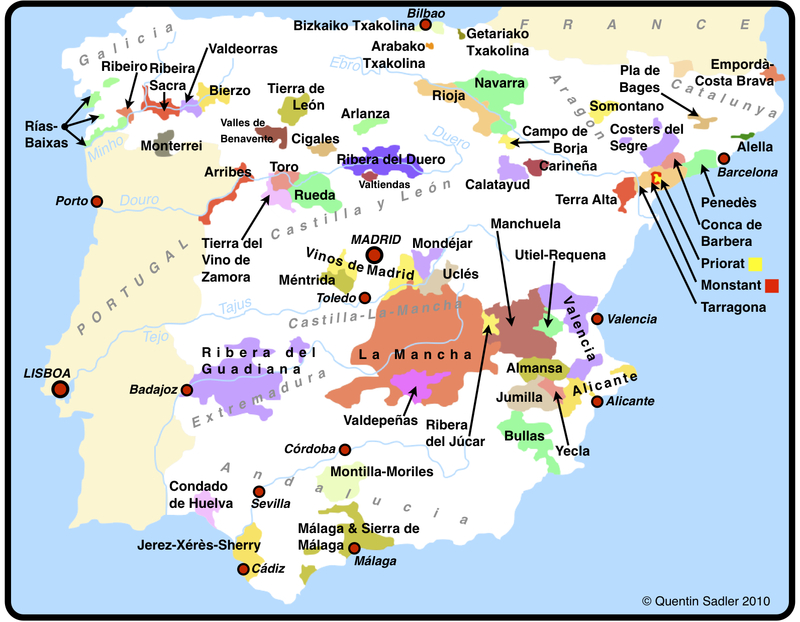 The principal black grape and speciality of the region is Juan Garcia, but they can also use Tempranillo, Mencía and Garnacha as well as the decidedly local Bruñal, Tinta Madrid, Bastardillo Chico, Bastardillo Serrano, Tinta Jeromo, Gajo Arroba, Verdejo Colorado and Rufete. I understand that many of these are very rare and hardly ever used in practice, but it just adds to the feeling of being somewhere very different. Sara Groves-Raines and her Spanish husband Patxi run La Setera estate and winery in the hamlet of Fornillos de Fermoselle. I greatly enjoyed visiting them and wrote about the experience here. 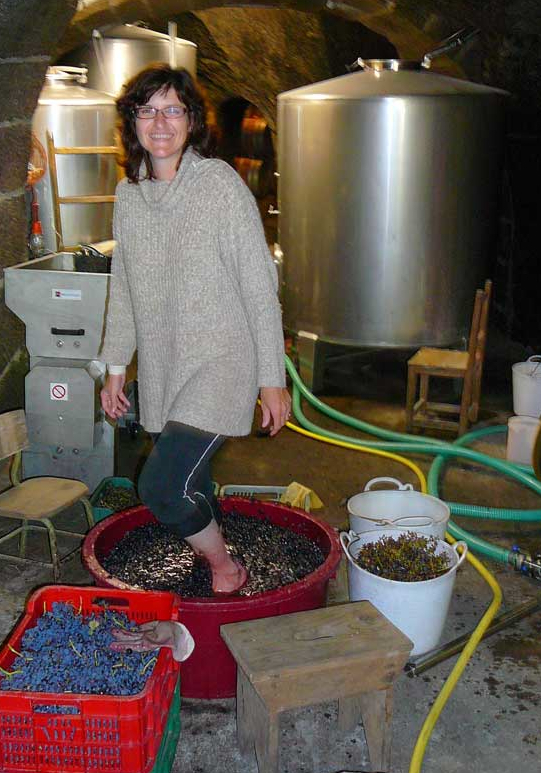 Almaroja is in Fermoselle proper and is the brainchild and project of Charlotte Allen, who used to work in the British wine trade, before she spread her wings and gained experience and qualifications as a wine maker all around the world. It seems that her plan was always eventually to create an estate in France, but a visit to a French winemaking chum who was working in Rueda changed all that. He told her about this hauntingly beautiful, wild place some two hours west and she now has nearly 14 hectares of vineyard spread over 11 parcels of land. With one exception, the rare Bruñal, they are all between 50 and 100 years old. As far as I can discover this is one of only two Bruñal vineyards in the world, although her main grape is Juan Garcia. Carlota uses organic – together with a dash of biodynamic – techniques and I understand that she aims to achieve organic certification in a year or two. Quite apart from the location and unusual grapes, and the sheer quality of the wine, what makes it so impressive is that Carlota does everything in the vineyard and the winery herself. This is true artisan winemaking on a very human scale. Currently she only makes one wine, but it really is a wonderful and unique style as it is one of those rare breeds nowadays – a field blend. Each parcel of vines is vinified seperately, but as they are so old they have the different grape varieties all planted together as was the custom in less varietal sensitive times. It is 65% Juan Garcia, but contains all the other permitted varieties too. Opaque purpley colour, showing the wines vibrant spirit right from the start. The nose is floral and fragrant with scents of ripe plum and bramble bushes together with a warm, spicy rocky, mineral note. The palate feels ripe and soft and is medium bodied, with juicy plum, spice and earthy tones too, slight chalky tannins and some red cherry acidity really gives the finish a freshness and balance that makes it perfect with a wide range of foods. The tannins are wonderfully supple with no aggression at all, making the wine very drinkable indeed once it has some air. This is an interesting, complex, elegant and enjoyable wine that is very different from most stuff out there – 92/100 points. The combination of richly mineral, granite soils and the high acidity of the main grape, produces a wine with floral notes and a lightness of touch that would surprise those of you who only know the powerful wines of neighbouring Ribera del Duero and Toro – let alone the Douro over the border. This is a pretty serious wine that takes quite a long time to come out of its shell and show its real elegance and complexity, so open it a good few hours before you want to drink it.